As a country most known for it's incredible natural beauty, it's hard to decide which part of Kyrgyzstan to explore first. Each destination affords independent travelers a chance to trek through stunning mountainous landscapes, to experience the region's fascinating living nomadic history, and to sink into the unique Kyrgyz culture, cuisine, and hospitality that you won't find anywhere else in the world. 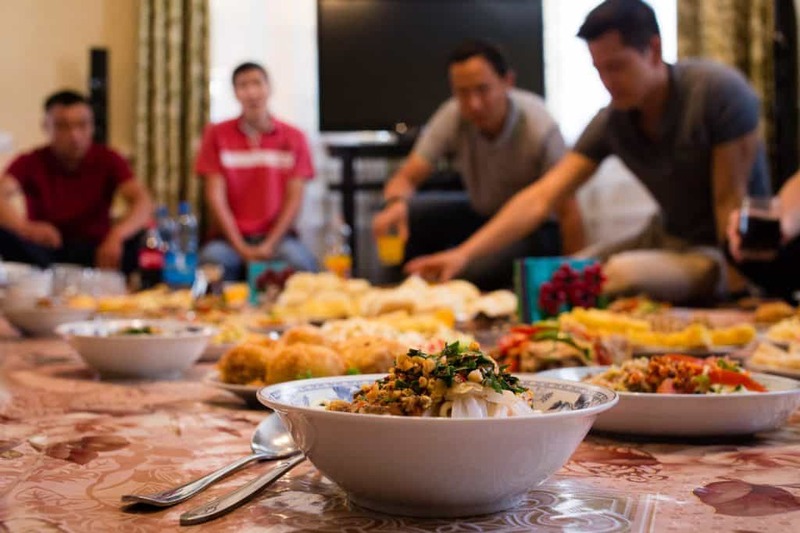 Once you leave Karakol, these resources will help you find reliable, clear information on what to see, do, and eat in other cities across Kyrgyzstan. Like Destination Karakol, these non-profit Destination Marketing Organizations (DMO) are committed to providing independent travelers with the information they need. Whether you're a foodie traveler looking for other cultural food experiences (yep, there are more of those! ), a trekker seeking off-the-beaten path routes in beautiful locations (definitely more of those, too), or a soft-adventurer keen to raft, hike, bike, or horse-trek across Central Asia's most accessible country, these cities and experiences around Kyrgyzstan have you covered. Please also check out the Download section below to download PDF brochures about Kyrgyzstan, cultural and culinary traditions, as well as maps of Karakol and regional treks. Located just an hour from Karakol, Jyrgalan village offers indie travelers the chance to travel off the beaten path to an unspoiled valley surrounded by beautiful peaks, pristine alpine lakes, and any number of outdoor adventures. Experience Kyrgyz life in a rural village while organizing treks, horse treks, biking journeys, and more. Check out the travel guide to Jyrgalan and Jyrgalan Summer Products to find more information. If you're looking for a huge range of ethnocultural activities — from Kyrgyz folk music shows to eagle hunting demonstrations — head to the South Shore of Lake Issyk-Kul. Relax on the lake at a yurt camp with a camp fire and stars as your only companions. Or trek through lunar-like landscapes in the canyons nearby, each with sweeping views of the lake and the surrounding snow-capped peaks. 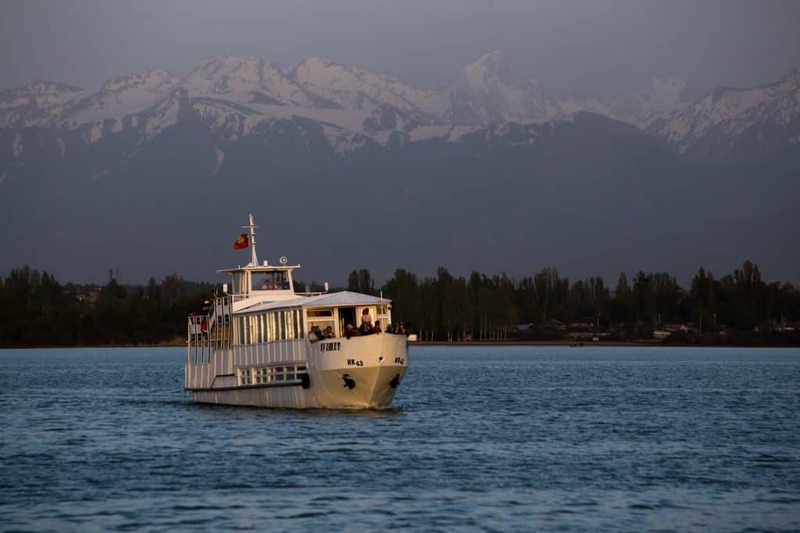 Check out the travel guide to South Shore of Issyk-Kul find more information. You can also download brochures of different tours on offer from Destination South Shore here. As the southern gateway to Kyrgyzstan, the streets of Osh offer travelers a fascinating encyclopedia of history, culture, and food. 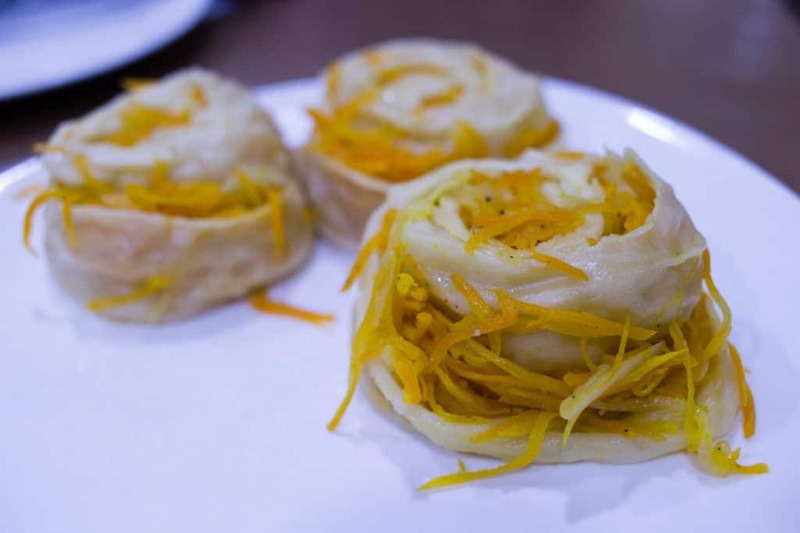 Located in the Ferghana Valley, visit this Silk Road city to wander through Central Asia's largest bazaar, learn the secret to making the perfect plov (a beloved Kyrgyz dish), and enjoy views from the top of Sulaiman-Too Sacred Mountain. Check out the travel guide to Osh find more information. High in the Tian Shan Mountains, Naryn has a lot to offer indie travelers looking for adventure, as well as traditional Kyrgyz culture. With the Naryn River running through town and quiet, residential streets, you'll find a surprising amount of history, culture, and beauty. Trek to one of the stunning alpine lakes nearby, learn how to prepare beshbarmak (a traditional Kyrgyz specialty), and discover the history behind Tash Rabat — a 15th century roadside inn for Silk Road travelers. And if you haven't yet experienced Kyrgyz hospitality, you won't find a better place to book a homestay. We've collected a series of brochures about Kyrgyzstan and its traditions, cuisine, and nature that you can download as a PDF. We hope this information further expands your understanding of Kyrgyzstan and helps you plan your adventures across our beautiful country. 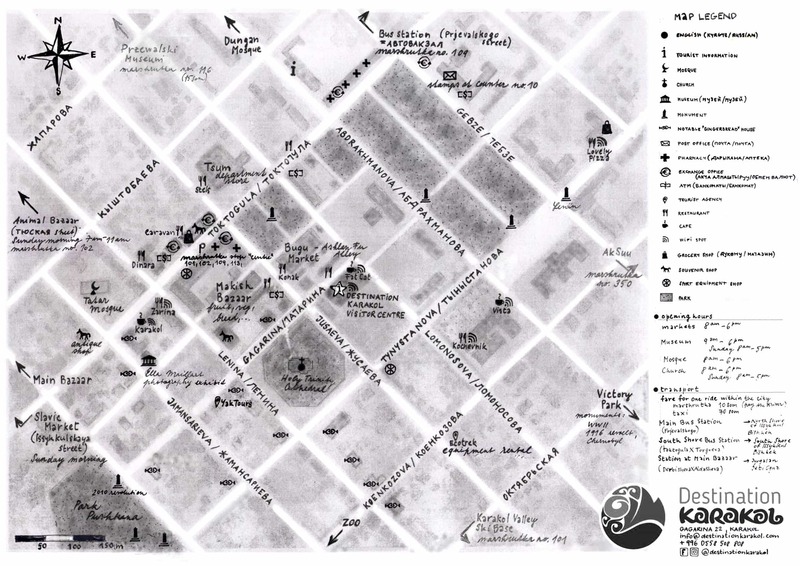 Maps of central Karakol to help you navigate around to find main sites, markets, bus stations, tourism services, and much more.